Great Electronic Products,Scripts And Software At Great Prices! 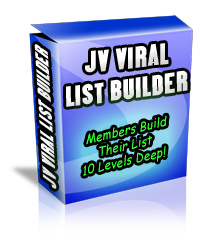 JV Viral List Builder Script! A great way to earn extra income working from home. This script has 3 membership levels! Solos To Over 36,800 And 47 Sites $14!